A screenshot from Mona el-Mazbouh’s apology video, Egypt Today, July 2018. A Lebanese tourist was sentenced to eight years in Egyptian prison after viral video on Facebook. 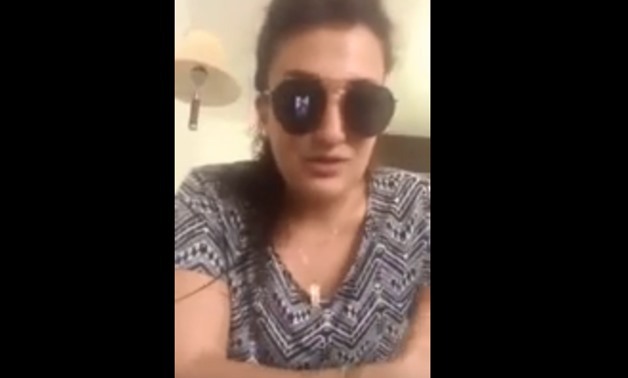 Mona el-Mazbouh, 24, posted a video complaining about the sexual harassment she had experienced in Cairo while on vacation. The video soon went viral, leading to Mazbouh’s arrest when she tried to leave the country at the end of her vacation. She was sentenced this Saturday to 11 years, reduced to 8, for “deliberately broadcasting false rumors which aim to harm society, and insult religion,” in addition to “displaying shameful content on her Facebook page.” Recently, Egypt has also passed legislation that curbs freedom of expression and cracks down on activists and journalists. Twitter banned 35 Hezbollah and Hamas-linked accounts after Israeli pressure. The social media giant posted the formal request from the Israeli Cybercrime Department on Lumen, the Harvard University Berkman Klein Center’s database of online content removal requests. Gilad Erdan, Israel’s public security minister, had previously threatened legal action against the company if it did not cooperate more with the Israeli government. The accounts in question appeared to be of Hamas leaders and associates as well as affiliated Hezbollah accounts. A WhatsApp status lands a Lebanese 15-year-old in trouble. Army intelligence detained Youssef Abdallah, 15, for having shared a picture criticizing President Michel Aoun on his WhatsApp status. SKEyes reports that Abdallah, who hails from Akkar, was blindfolded and detained for a night in an unknown location. He was released the next day only after signing a letter pledging to never criticize the president again. Make sure you’re using the official WhatsApp messaging application. SMEX released a statement this week warning Lebanese users of the security dangers in downloading unofficial versions of WhatsApp. Marketed as “WhatsApp Plus,” these unverified messaging applications potentially have access to all users’ data once downloaded, including voice notes and messages, exposing this data to nefarious third parties.